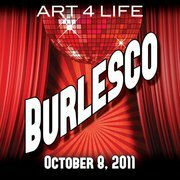 Saturday, October 9th, 2010 at the Cotillion Ballroom, 11120 West Kellogg. Doors open at 7 p.m. Tickets are $65 in advance, $70 at door and are available at Planet Hair, Positive Directions, The Cotillion Ballroom, and Select-a-Seat. Support ArtAID with some fun, games, and cocktails. Bring all your friends to this fun cocktail party and join the sideshow! Raise money for Positive Directions as we play carnival games under the stars, nosh on fair food, enjoy the gypsy jazz and swing band Nouveau Quintette, and an exotic performance by Ambush Dance. Wednesday, October 6th from 5 p.m. – 9 p.m. at Harris & Co. Frame Shop/Diver Studio, 424 S. Commerce Street. No admission fee. 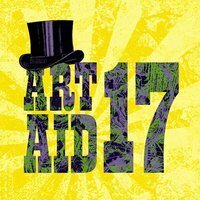 Get a free preview of all of the art you’ll have the chance to bid on at ArtAID 17. Attention: Models, Dancers, and people with special talents! Model Call for ArtAID 17, Sideshow, will be Sunday, August 29th from 1pm – 3pm and Monday, August 30th from 6pm – 8pm at Planet Hair, 504 E. Douglas. Please call Planet Hair at (316) 267-8000 for more details. If you have a special talent – we’re looking for you!